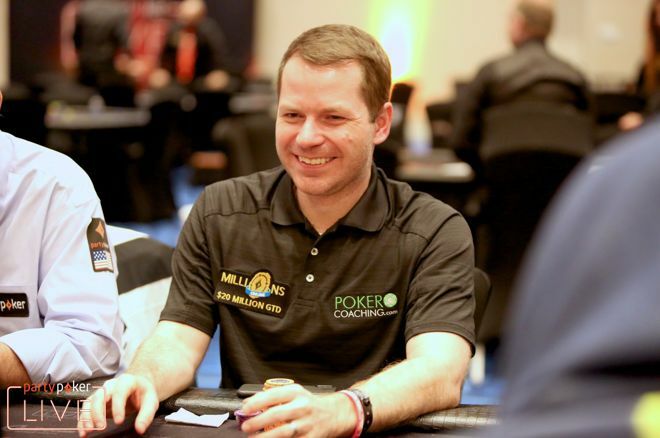 @JonathanLittle on the most common mindset flaw poker players exhibit, especially at lower stakes. Don't exert too much emotional energy over losing in common, routine spots advises @JonathanLittle. A while back in preparation for my book Strategies for Beating Small Stakes Poker Cash Games, I spent some time playing live $1/$2 no-limit hold'em. While I saw all sorts of interesting plays, today let's discuss a particular mindset flaw that many of my opponents had. If I could teach them one thing, it would be to stop caring about losing money due in common, routine situations. Early in one of my sessions, I was dealt in middle position. I raised to $7 and a tight, passive 60-year-old guy went all in from the small blind for $60. I made the easy call. My opponent showed . The board came K-8-6-7-10, giving the pot to my opponent. In my mind, there was nothing to see here. This was a simple all-in and call scenario that both players played well. I was surprised to see that no one else at the table felt the same way. Some of the players were trying to console me for the "horrible" beat I took. It should be clear that when you get all in, the order that the cards come off the deck does not matter in the least bit. Other players were congratulating my opponent because he got his money in good with a "made hand" while I only got my money in with a "drawing hand." This is also asinine because both hands are quite premium, given my opponent's decision to play with a tiny 30-big blind stack. The fact that one hand is paired and the other is not is irrelevant. All that matters is both hands will win roughly 50 percent of the time. It was also interesting to me that the players even cared about a pot where both players put in 30 big blinds with premium hands. In high stakes games, most players typically swing at least 200 big blinds over the course of a long session and don't blink an eye. However, in the small stakes games, everyone truly cared when they lost any pot larger than 10 big blinds. The entire player pool seemed not to understand that swings in poker are inevitable. Instead of accepting this fact, most of the players were only willing to invest significant money when they were confident they had the best hand. This led to most of the players using a blatantly straightforward strategy that allowed me to steal small- and medium-sized pots consistently with little risk of losing a significant pot. You must accept that you will win and lose pots when you play poker. If your game plan is to wait around for the nuts and hope your opponents pay you off, unless most of the players at your table are maniacs (I only encountered one maniac in all of my $1/$2 sessions), you will slowly blind off and lose the rake. In order to crush small stakes cash games, you must be willing to get a bit out of line in order to steal small pots when it is clear no one is interested. That said, you must also be capable of making somewhat big folds when it is clear your opponent loves his holding. I got the vibe that my opponents cared about any loss most likely because they were playing with short bankrolls. If you only have $500 to your name and take $200 of it to the poker table, I completely understand why you would care about the swings. I imagine most pros would lose their minds if they put 40 percent of their disposable income (or net worth) on the table at one time. Even though most of the players adopted a style of play that indicated they clearly did not want to gamble, their poor bankroll decisions stated the exact opposite. Learning to think in terms of equity (instead of dollars) is a great way to conquer the fear of losing money. If you understand that when you get your money in good, such as when you get all-in with versus , you will win in the long run, you will not care if you win or lose in any individual instance because you know you profited in terms of equity. Instead of being happy for making a good decision, most of the players I played against would be incredibly unhappy if they lost. When you get all in with 77 percent equity, you must understand that you will only win 77 percent of the time, not 100 percent of the time. That means 23 percent of the time, you will lose. My opponents did not fully grasp and accept this concept. You must become comfortable with the standard swings of the game if you want to move up to the higher levels, where the variance will be much higher (due to overall increased skill levels and more loose, aggressive play). If you lose your sanity every time you lose any half-way meaningful pot, you are almost certain to fail. If you want to better your poker game and learn to think like a pro, check out my training site PokerCoaching.com. There you can hone your skills in over 400 interactive quizzes and 35 in-depth homework challenges. Thanks for reading and good luck in your games!